In Bariatric Surgery Criteria and Weight Loss, we will look at the criteria you need to meet if you are to be found suitable to undergo the surgery. Gastric surgery, which changes the stomach and digestive system to reduce the amount of food you consume and the amount of nutrients you absorb, can be life­changing, but like any major surgery, it carries risks and is not suitable for everyone, and a decision to offer you surgery is not taken lightly. There are many factors to be considered and certain bariatric surgery criteria to be met before you may be offered surgery. If you feel you can benefit from bariatric surgery first consult your doctor, if the doctor thinks it can help, you will be referred to a team of specialists who will perform a thorough and complete assessment as to your suitability for surgery. will you meet the bariatric surgery criteria? A body mass index of 35-39.9 (severely obese) which is causing serious obesity related health problems. A body mass index of 30-34 may be considered if the specialists believe it is contributing to weight related health problems. First of all don’t labor under the misconception that gastric surgery is the magic wand that will solve all your weight loss problems, it won’t. Like any other form of losing weight, it takes a change of lifestyle, dedication, willpower and a determination to succeed, the surgeon can only perform the operation, with aftercare the rest is up to you. What other bariatric surgery criteria is considered? As with any major surgery, your medical condition will feature largely in any decision. Health problems such as high blood pressure, heart conditions, kidney or liver problems, as well as any medication you may be on, will be taken into account. You will also be asked if you drink alcohol, how much, and do you smoke? You will then undergo an intensive medical examination and tests as to your suitability for surgery. You will be asked questions such as does your weight fluctuate, what are your eating habits, do you do any form of exercise, have you previously tried various weight loss and diet programs in an attempt to lose weight before considering surgery. If the answer to this last question is no, then you may be refused surgery and maybe referred to nutritionists and dietitians who will prepare a diet and exercise program to help you lose weight naturally. Substance Abuse, including Alcohol, Amphetamines, Barbiturates, Cannabis, Cocaine and Heroin. Personality Disorder, which may lead to “Comfort Eating”. Although you may be suffering from any of the above mental health problems, they will not necessarily prevent you from having gastric bypass surgery, but surgery may be postponed until doctors are satisfied any conditions that may exist, are appropriately treated and managed. This is the final assessment to establish your level of motivation, willingness and ability to carry out any recommendations, including prescribed changes in your diet and exercise routine, as required by your health team. If you have been accepted for surgery, these changes will include restrictions on what you eat and drink, carrying out a planned exercise routine, quitting smoking, and counseling in order to help you adapt to the change in lifestyle. In certain cases losing weight may be required before surgery can go ahead. Not keeping appointments with the pre-surgery health care team. Not adhering to the diet and exercise program prepared for you. Not attempting to change your lifestyle, such as if you smoke, giving it up and reducing alcohol consumption if you drink. As previously mentioned, the surgeons can only perform the operation, your commitment, both pre and post surgery, is essential in bariatric surgery being successful in the long term. If you can’t fulfill the health care team’s guidelines to bariatric surgery criteria, it is very unlikely you will fulfill them after the surgery. This post is not meant to give advice or recommend weight loss surgery, it is for information only to help you understand what bariatric surgery criteria you have to meet and what you have to commit yourself to if you are contemplating weight loss surgery. 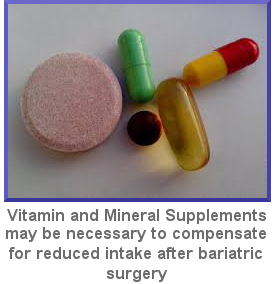 As always, consult your doctor, who will help decide if bariatric surgery will help you.